BT has dismissed the claim that a unified BBC-ITV-Channel 4 on-demand TV service would pose a threat to its own BT Vision IPTV service . Details emerged last week which suggested that the terrestrial broadcasters were discussing teaming up to launch a unified on-demand venture, codenamed Project Kangaroo . Such a service would be in direct competition with BT Vision as well as the Sky Anytime on-demand service for the PC. But a BT Vision spokesperson told Tech.co.uk this morning that BT is not worried about Project Kangaroo as it would be aimed at a different audience. "BT believes customers increasingly want entertainment on their terms and on the device of their choice - whether that be laptop, MP3 player, TV. "For the moment, Kangaroo appears to be a project concentrating on the former, whereas BT Vision is concentrating on the latter. We expect convergence will mean that the markets will soon overlap. But BT is very confident that we have a compelling and exciting proposition, and that customers will agree with us." It's a bit of a cagey response from a company which will surely feel threatened by the prospect of a free on-demand terrestrial service. 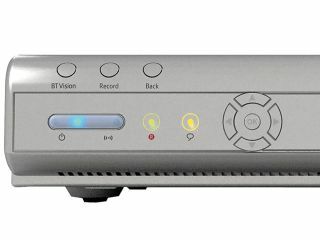 At the moment, BT Vision allows programmes to be downloaded to its set-top box, and charges for each download. The question is: would people be willing to pay for BT Vision if they are able to get a similar service for absolutely nothing?